The intent of strong cryptography (see definition and key lengths in the PCI DSS and PA-DSS Glossary of Terms, Abbreviations, and Acronyms) is that the encryption be based on an industry-tested and accepted algorithm (not a proprietary or "home-grown" algorithm). Cryptography based on industry-tested and accepted algorithms, along with strong key lengths and proper key-management practices. Cryptography is a method to protect data and includes both encryption (which is reversible) and hashing (which is not reversible, or “one way”). Examples of industry-tested and accepted standards and algorithms for encryption include AES (128 bits and higher), TDES (minimum double-length keys), RSA (1024 bits and higher), ECC (160 bits and higher), and ElGamal (1024 bits and higher). See NIST Special Publication 800-57 for more information. One of our customers was having trouble decrypting a field with our software that was encrypted on a Windows server with “256-bit AES using CBC mode”. That seemed to be a pretty straight-forward task. Yet we couldn’t get the data decrypted properly. The output just looked like garbage. We spent a fair about of time with the customer verifying that they had the right decryption key, that the initialization vectors for the decryption were specified correctly, and that our software was being used correctly. But nothing was working. We then asked the third party software vendor to share their AES source code with us. In this case the vendor was very accommodating and let us review their source code implementation of AES encryption. Voila! The source code showed that the implementation was using a 256-bit block size for the encryption algorithm. The AES standard (FIPS-197) requires the use of 128-bit block sizes. The use of the larger block size meant that this was not even AES encryption according to the industry standard. The vendor fixed their implementation and the project was successful. But our customer spent a lot of time and money resolving the problem. Another example of getting into trouble occurred with a customer who deployed an AES encryption solution that used the CUSP mode of encryption. This rang alarm bells right away. We knew that CUSP was not one of the NIST approved modes of encryption, and we had never encountered it before. We quickly learned that CUSP stood for “Cryptographic Unit Service Provider” and was implemented by IBM in a couple of their server products. This customer had a couple of problems. CUSP mode was not a standard mode of encryption, and data encrypted with CUSP was not going to be decrypted by any of the standard open source or commercial products in the market. So this customer was locked into an incompatible encryption strategy. The second problem is that the CUSP mode of encryption is a proprietary protocol. The PCI DSS clearly states that strong encryption must be based on industry standards and not proprietary protocols (see above). As I interpret the PCI DDS requirements for encryption, a customer using CUSP mode would be out of compliance. That’s going to hurt the next time a QSA takes a hard look at your encryption implementation. We recently published a white paper on the weaknesses of the CUSP mode of encryption. Click here to download it. One way to insure that your AES encryption software is compliant is to look for a NIST certification. A NIST AES Validation certificate, or a NIST FIPS-140 certificate, is pretty good assurance of compliance. The FIPS-140 certification process requires AES Validation, so that certification is incorporated by reference. That’s why either certification will give you the assurance that AES encryption is being done according to the standard. Lacking certification, you are relying on the promises of a vendor or developer who may be ignorant, or have a motivation to be less than forthcoming. Not a good situation to find yourself in. Both of these customers spent a fair amount of money fixing the problem. An entirely avoidable expense. I just returned from a trip to Europe and Encryption Key Management was a very hot topic. This is a topic I very much like to speak about, given our recent release of Alliance Key Manager. It still surprises me how many conversations I had with technology companies who understood the need to have a proper key manager either embedded within or integrated from the outside of their program or appliance. There are, I think, a couple of reasons for this phenomena. First, many organizations are taking the step to encrypt sensitive data that used to be stored in the clear. Protecting data is an important IT initiative these days, and one of the absolute best ways to protect data is to encrypt that data. But as IT teams take on their encryption initiatives, somewhere in the middle of their first encryption project an important realization dawns upon them: After you encrypt the data, the data is only safe if you protect the encryption key. At this point some organizations will put a temporary fix in place and "hide" the keys as best they can on the same server as the data, but they know this is wholly unsuitable and that a more secure and more permanent solution must be found. The second reason that I think key management has become such a hot topic on this trip is because of the increased number of compliance regulations around encryption key management. 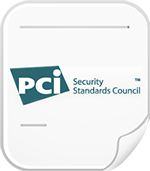 In October of 2010 the PCI-DSS 2.0 standard was released and in it is call for organizations that store credit card information to use a certified key management solution that is separated from the data, includes robust auditing capability, and supports separation of duties and dual control (more on those topics perhaps in another blog post). From my perspective then, we appear to have just the right solution at just the right time. Having recently received our FIPS-140-2 certification for Alliance Key Manager in the U.S. Mail, we're in a celebratory mood here at Townsend Security and it is good to hear all our friends in Europe endorse the time and effort our team has put into this fabulous offering.